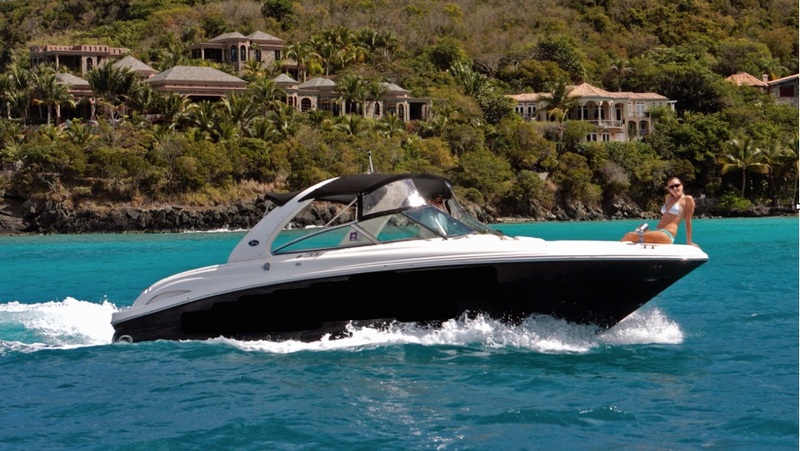 This 32′ Runabout is special to the islands–you won’t find many boats like this one! 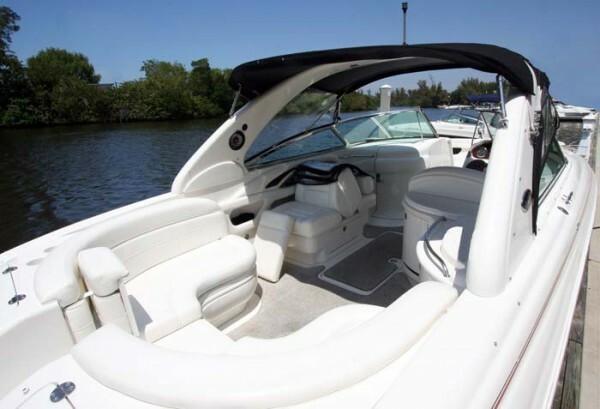 Custom built with two super economical outboard engines, this black beauty offers fantastic front facing, fully upholstered seating where you can put your feet up, kick back, and let the beauty of the islands open before you. 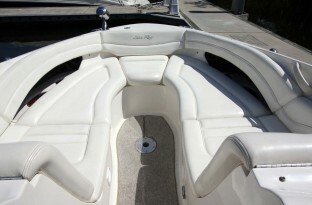 In back, you’ll find a fully upholstered “U-shaped” seating area perfect for a group to relax. There’s shaded seating next to the captain on a private lounge chair, and the stereo system on this boat is incredible. On board is a refrigerator, cooler and an on-board head. Bring your iPod and plug in to enjoy your favorite tunes! Effective 8/1/2017, British Virgin Islands customs fees are now $60 per person. The boat can carry a MAXIMUM of 8 passengers. If your party exceeds that, we can still accommodate your group by using a larger boat, or by adding more boats…just think – you can have your own armada!